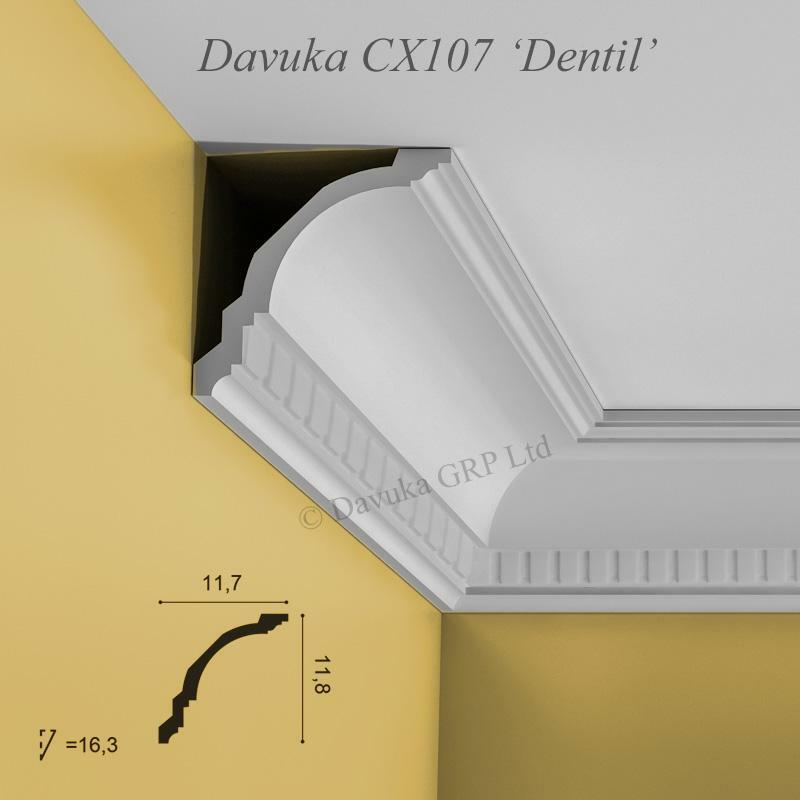 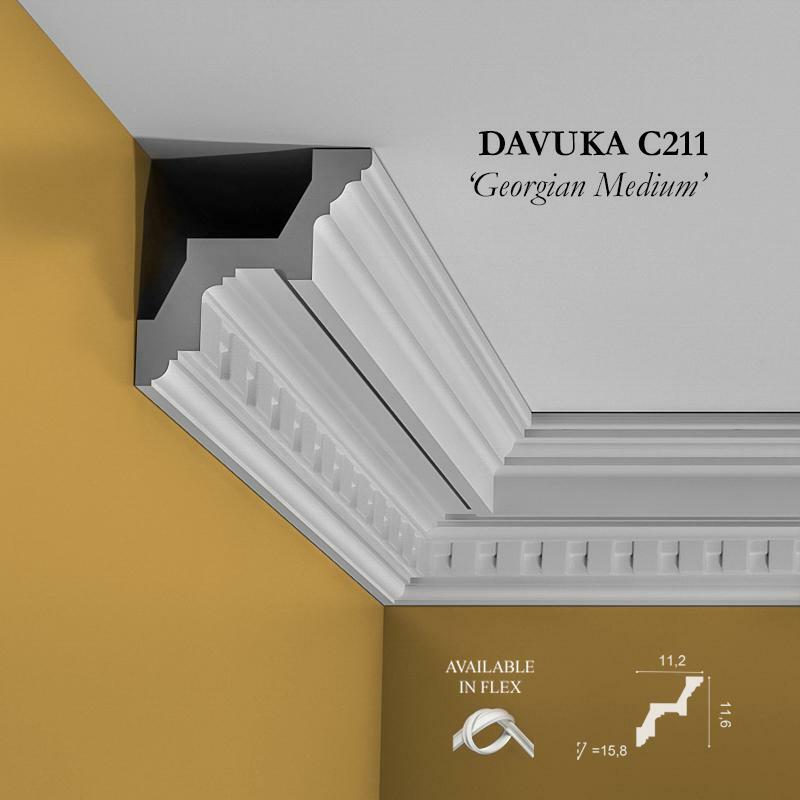 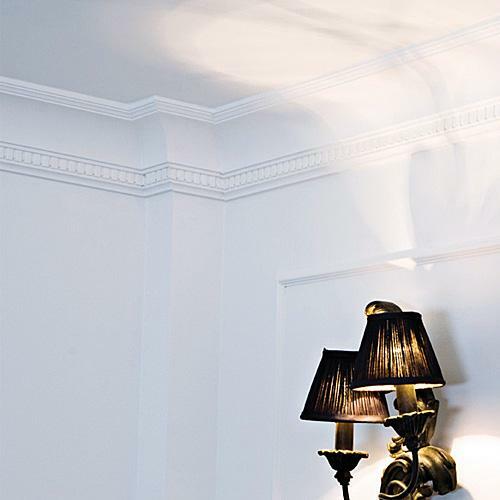 Dentil ‘toothed’ coving (see also our similar C211 and C422 cornice patterns from our Decor range). 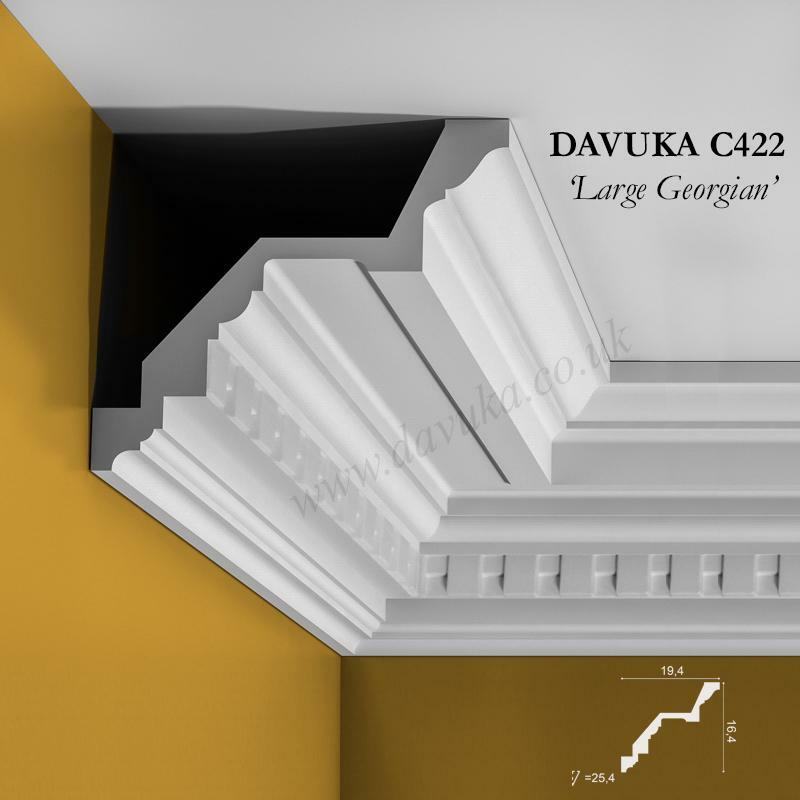 Popular in Georgian and Edwardian properties, but can also work well in a modern setting. Mirror with P6020 dado rail for the complete effect. 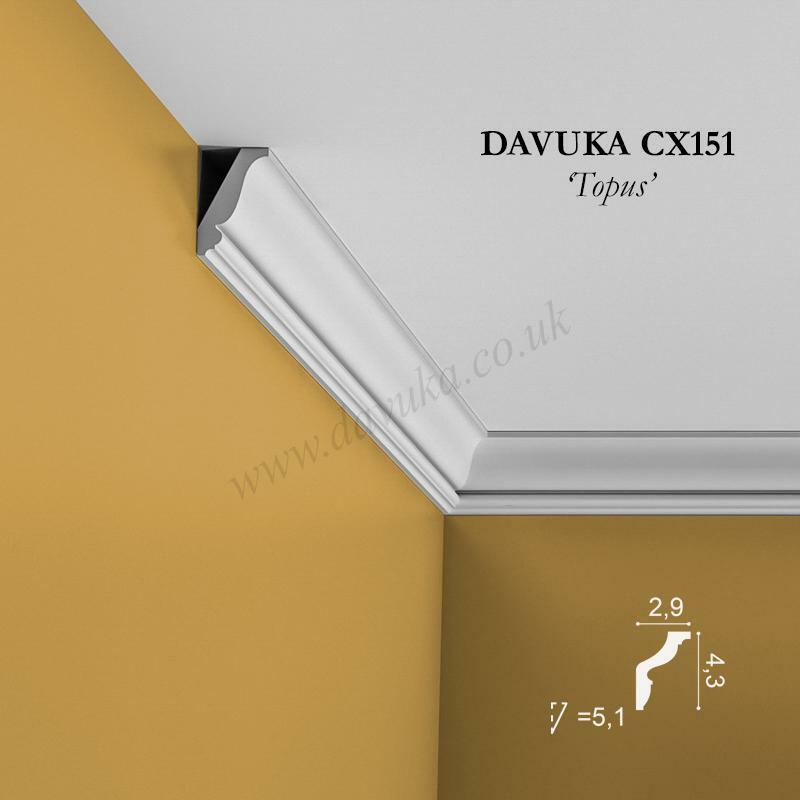 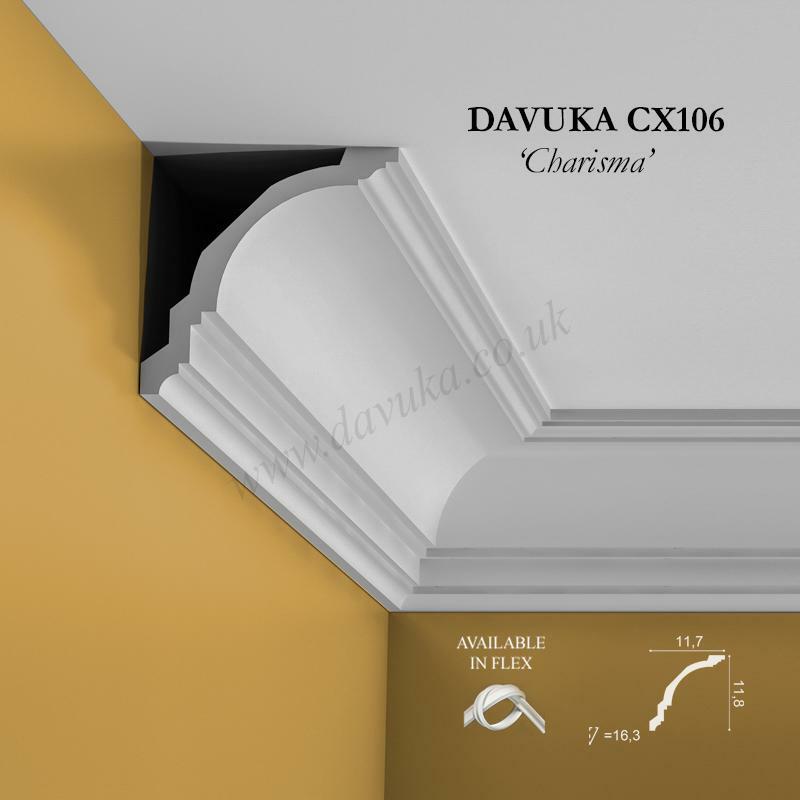 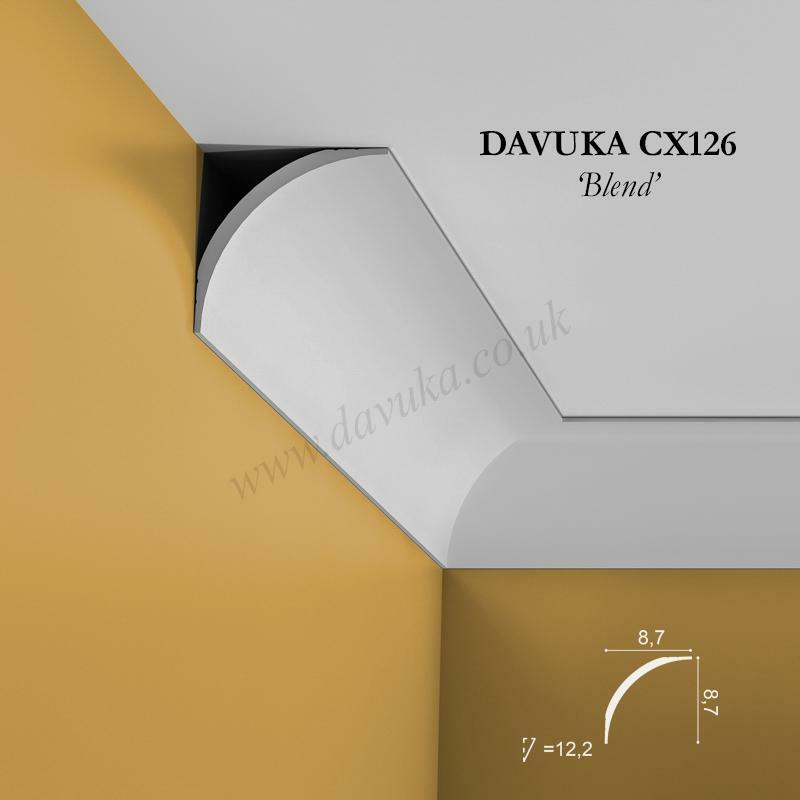 As with the CX106 profile above, this will fit straight over the top of any existing 4″ (100mm) or 5″ (127mm) coving so no messy removal needs to be done prior to fitting. Using the Correct Jointing and Mounting Adhesives for the CX107 ‘Dentil’ coving- IMPORTANT!